Although stocks and pillories fell into general disuse in Europe and the North America during the 19th century, they continued to be used as a judicial punishment elsewhere. A man in the stocks in Chile. 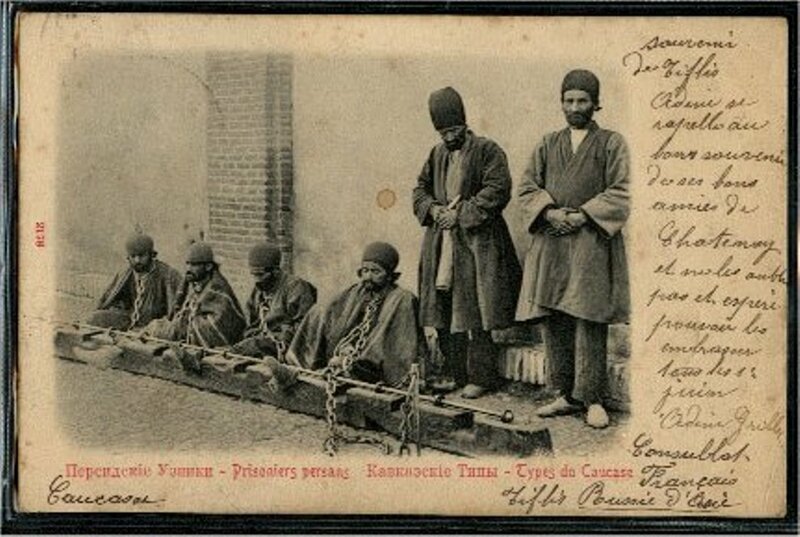 Prisoners in the stocks in Santiago, Chile. 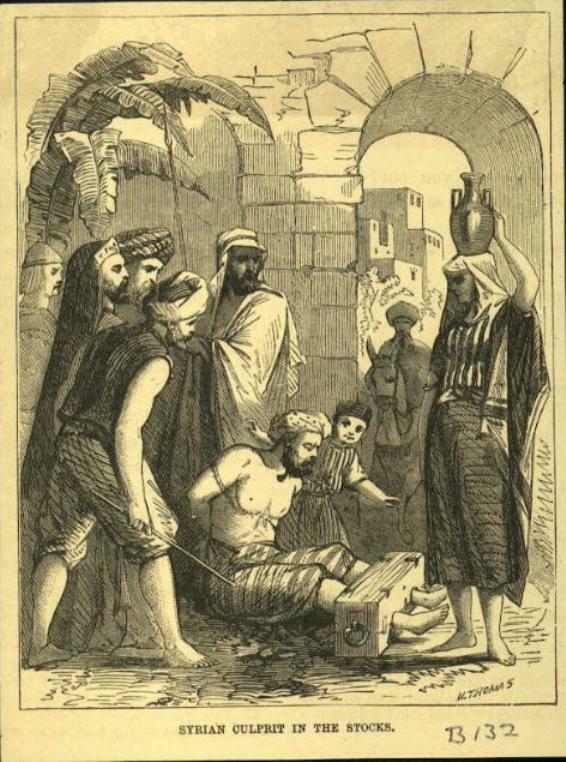 Prisoners in Persia (now Iran). Two men pilloried in the Philipines in 1899. 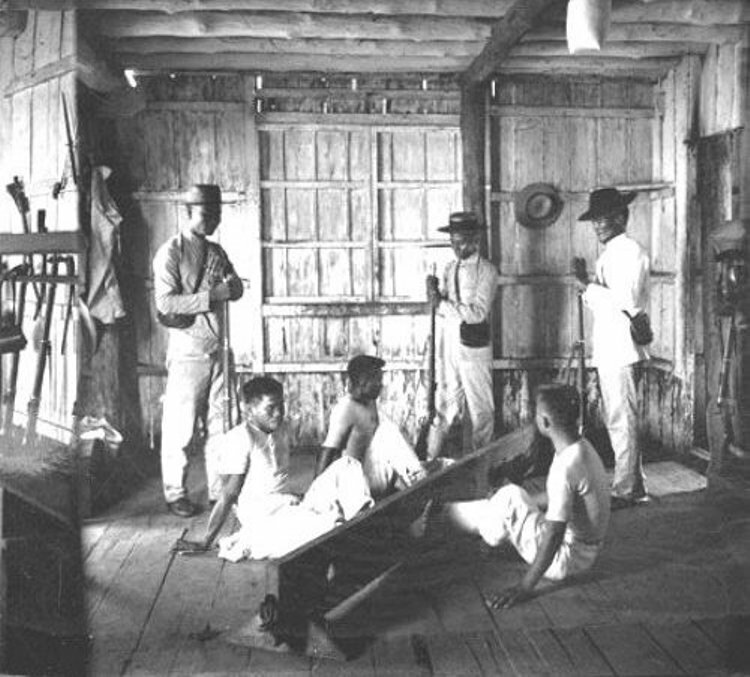 Prisoners in the stocks in the Philipines. 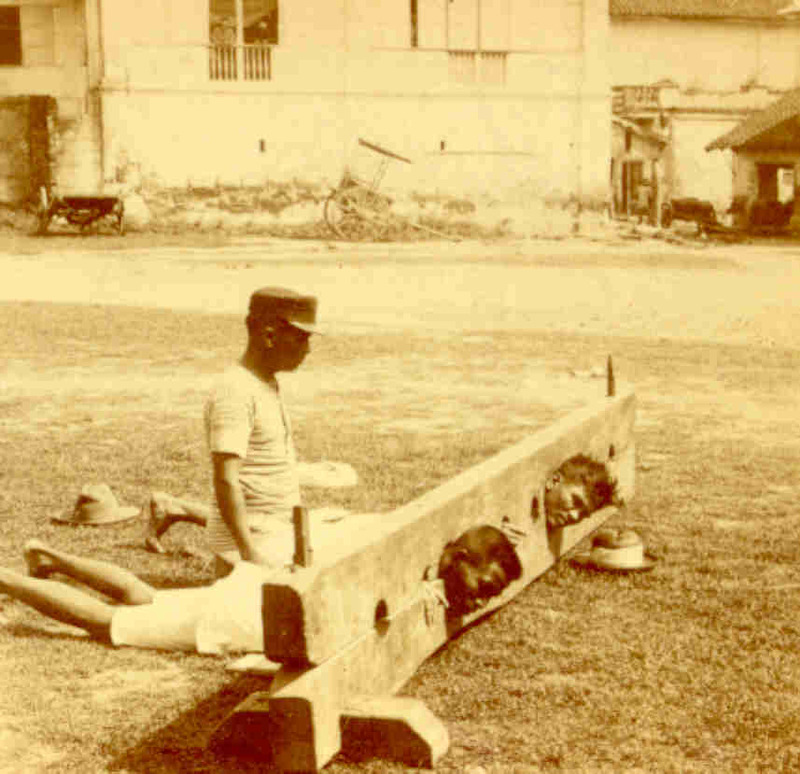 Prisoner in Ceylon (now Sri Lanka). "Authorities on Panama's western coast, in a practice recalling the Middle Ages, have brought back the wooden pillory to punish rebellious native peoples, a local humanitarian group has charged. 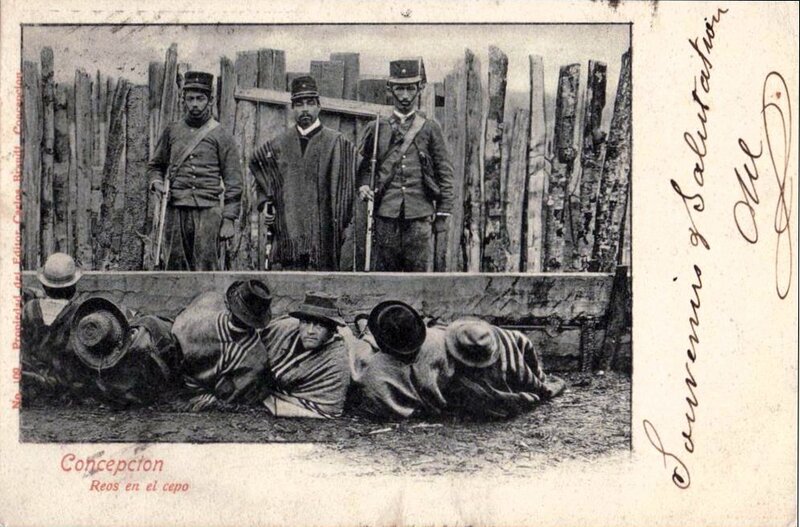 Activists of Catholic group Service of Peace and Justice (Serpaj) showed photographs of an improvised pillory used to hold indigenous men, women and children accused of breaking the law. The pillory was constructed of two wooden boards with openings in the shape of a half moon. It is used to immobilize a person by his neck, feet or arms. Jose Mendoza, coordinator of Serpaj, told IPS that they have already identified four locations where local officials are using this medieval punishment device to imprison accused lawbreakers by their feet. Mendoza said that Serpaj activists confirmed the use of pillories in Chorcha in the district of San Felix, in Cerro Iglesia, the districts of Remedios and in Cerro Puerco, and in the district of Tole -- all located in the western province of Chiriqui, bordering Costa Rica. Pillories were also set up in El Prado, district of Las Palmas of the same province, he added. Victims of this punishment are the Ngobe-Bugle indigenous people. For the last 20 years they have been locked in dispute with the government for the return of some 11,000 sq kms of territory located in Chiriqui and in the western provinces of Veraguas and Bocas del Toro."